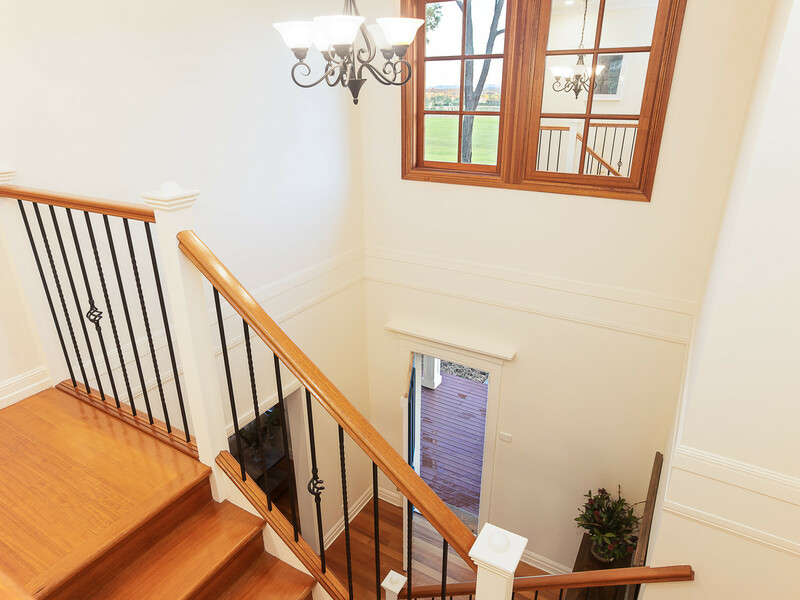 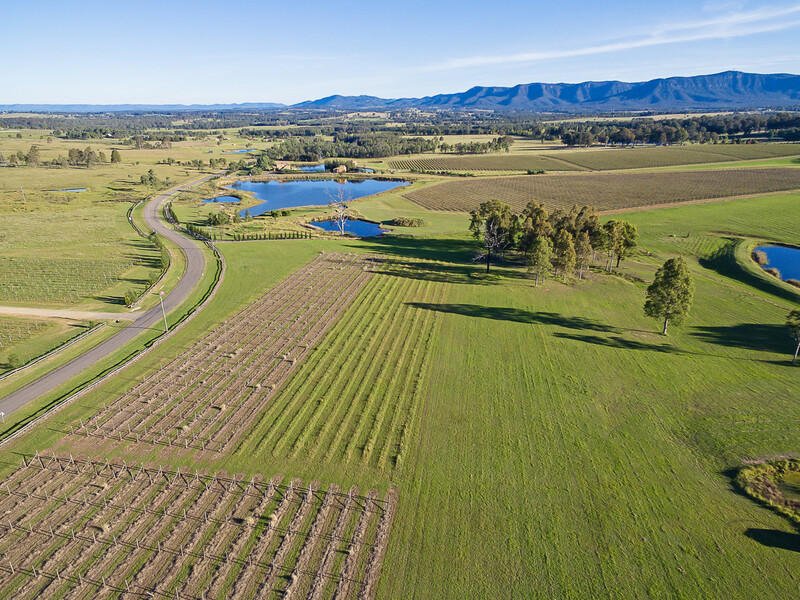 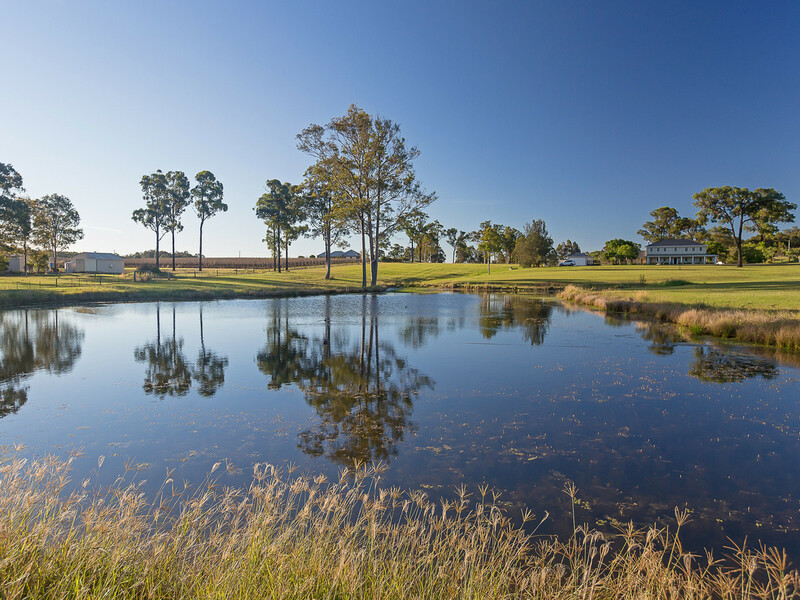 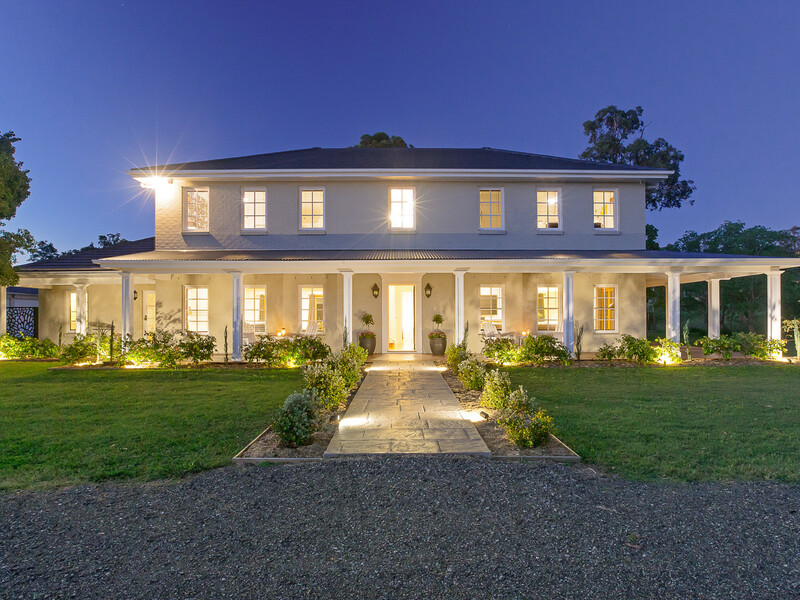 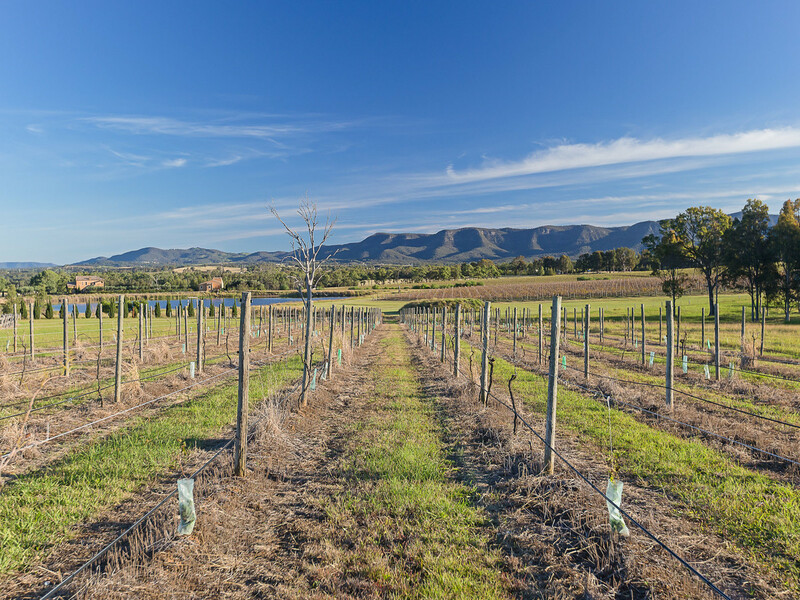 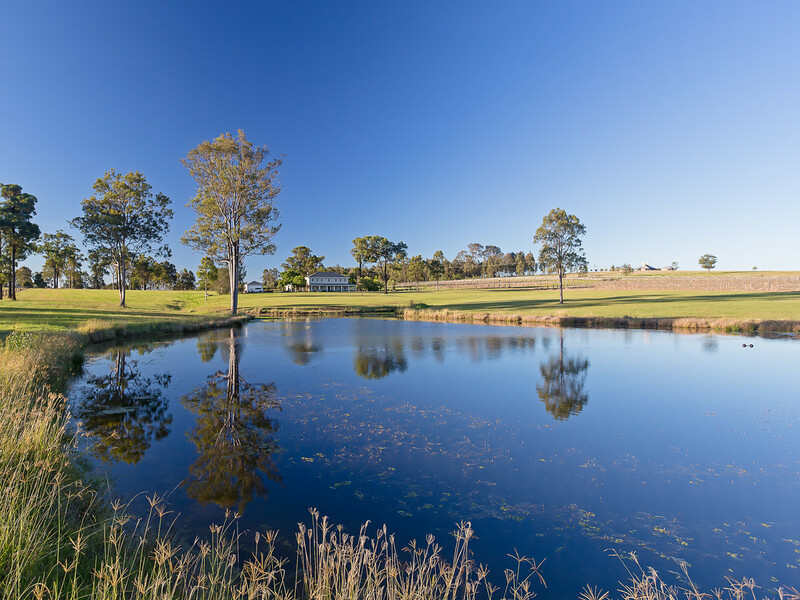 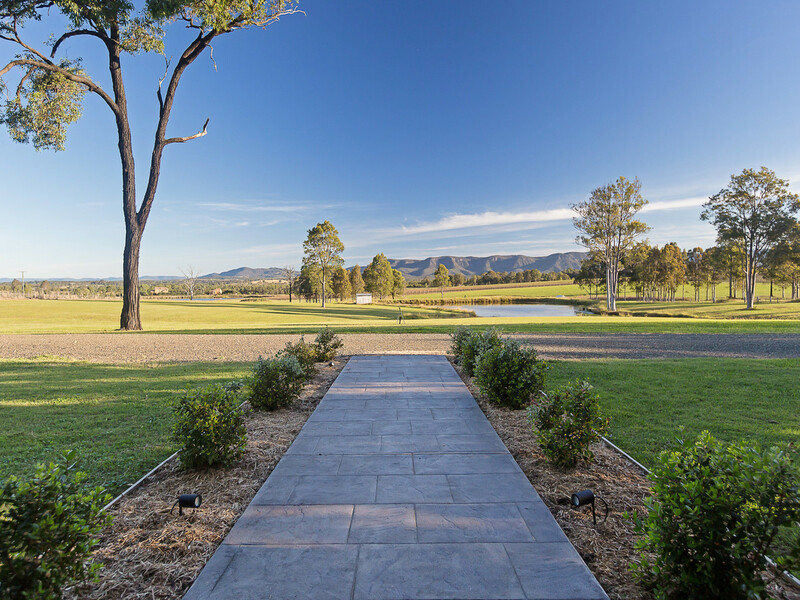 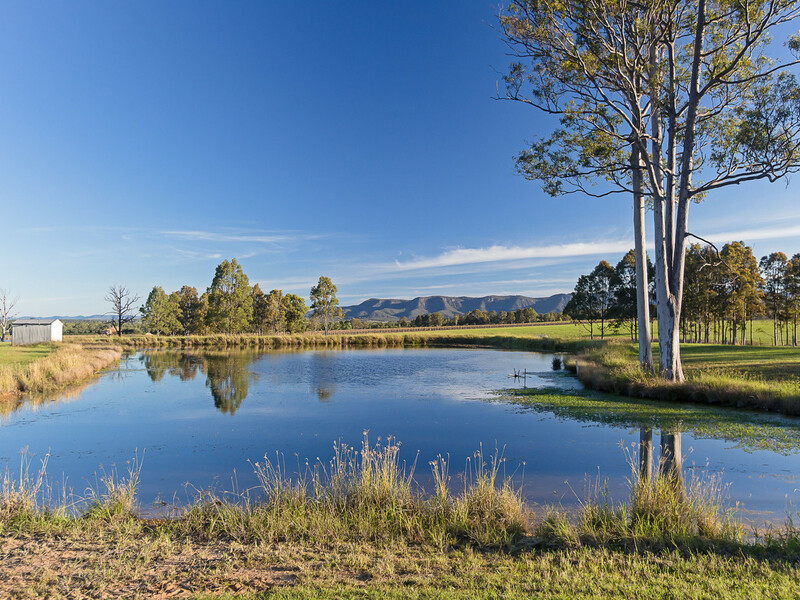 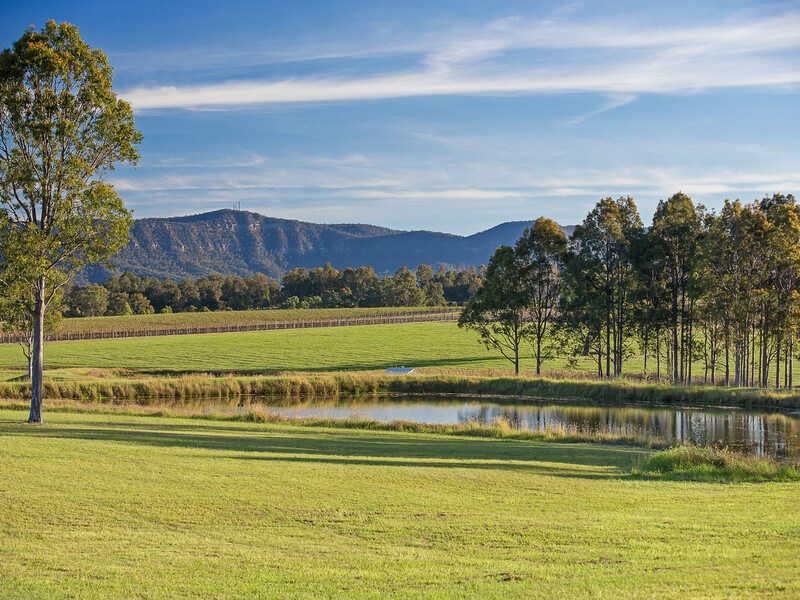 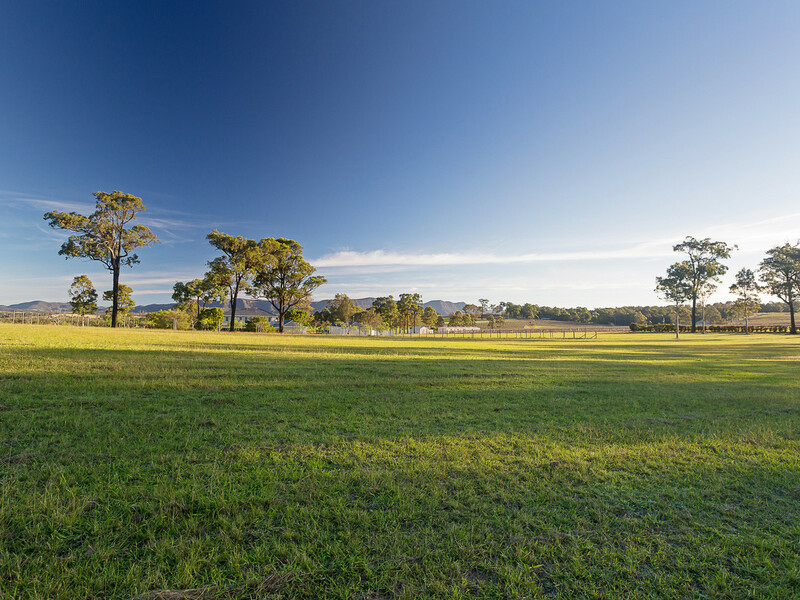 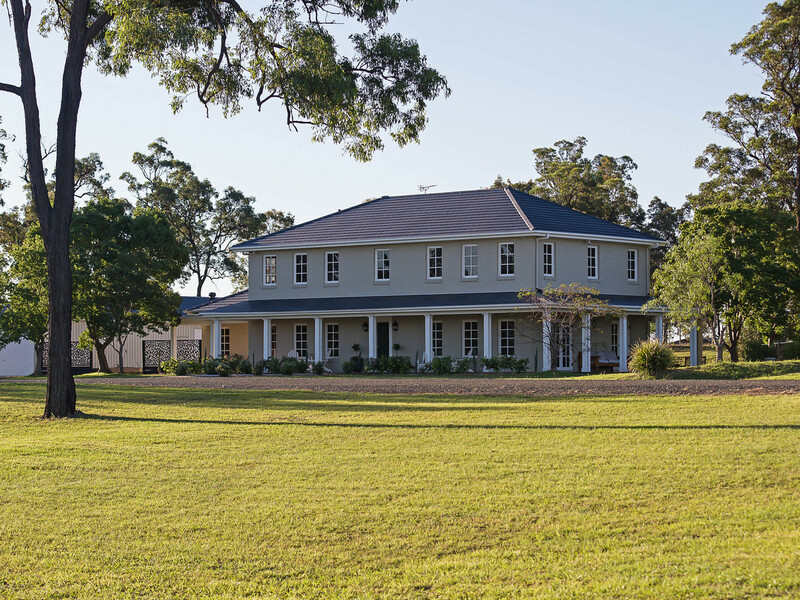 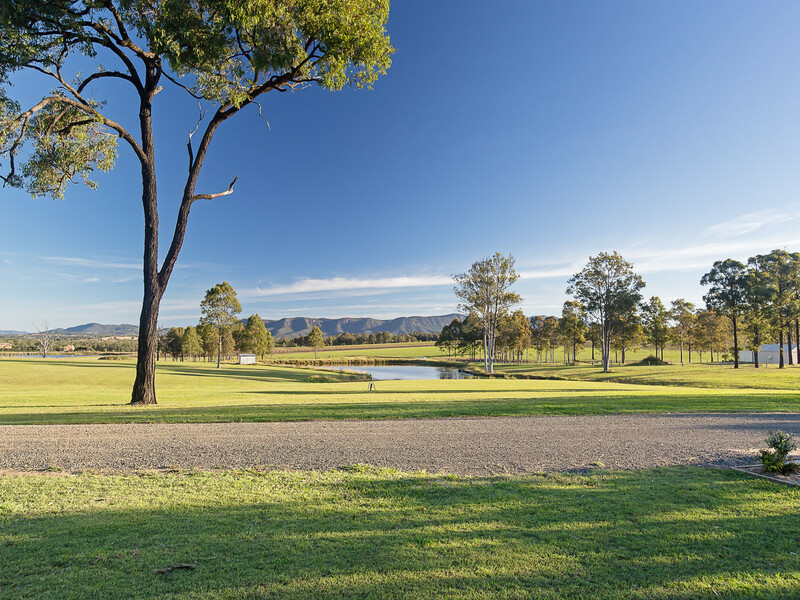 Set on an elevated parcel among the Hunter Valley’s finest private estates, Tanglewood offers a massive five bedroom home, small boutique vineyard and thirty of Wine Country’s most beautiful acres. 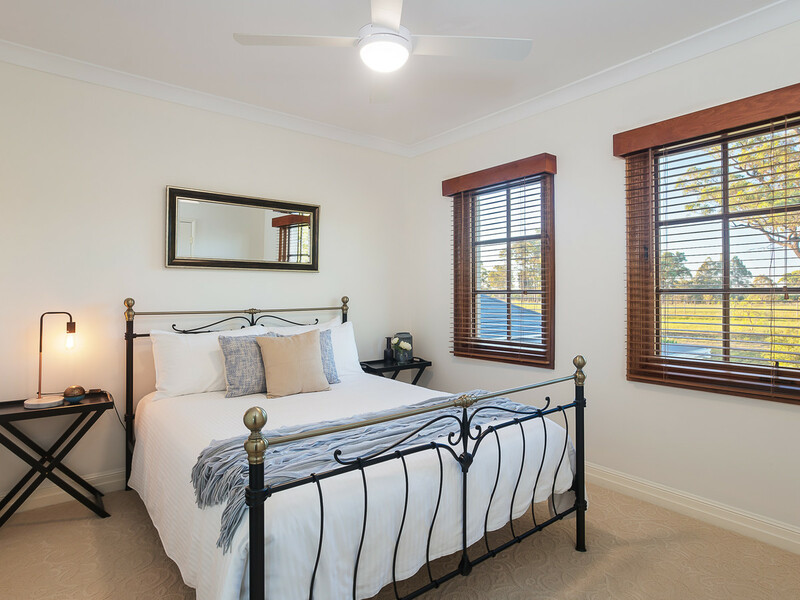 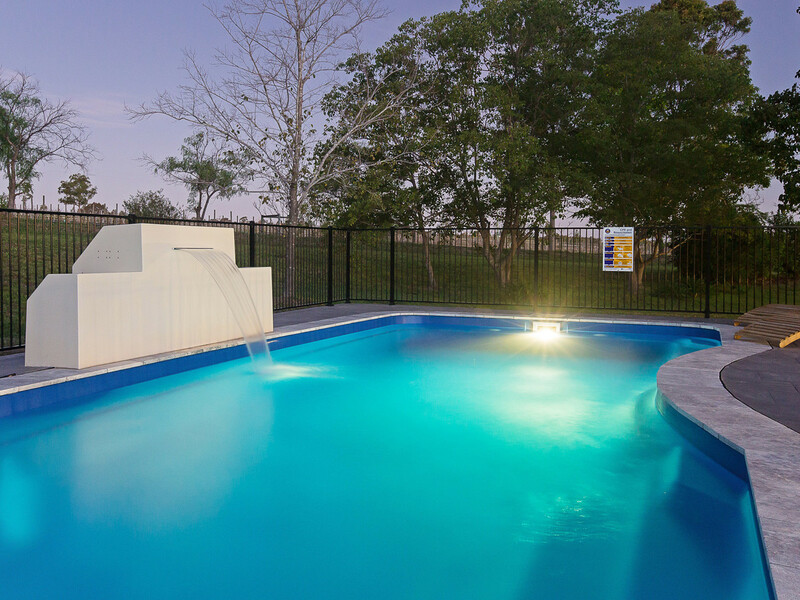 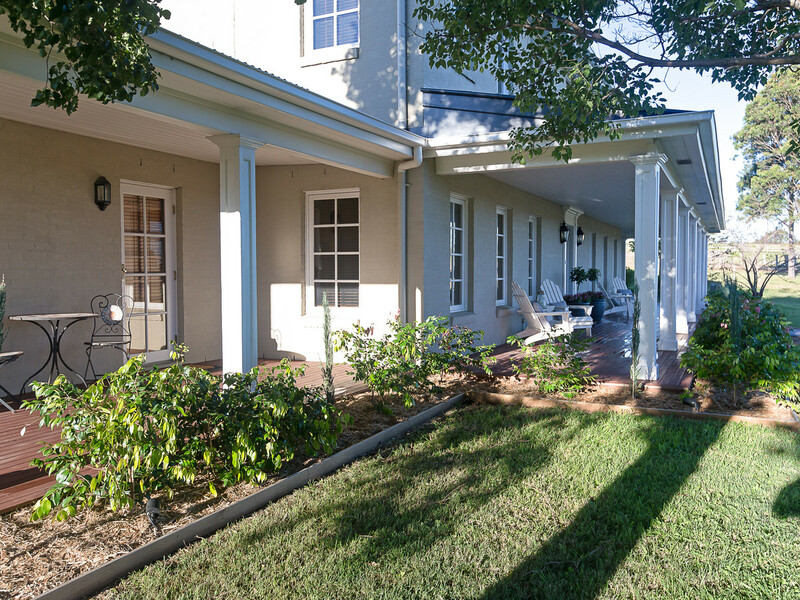 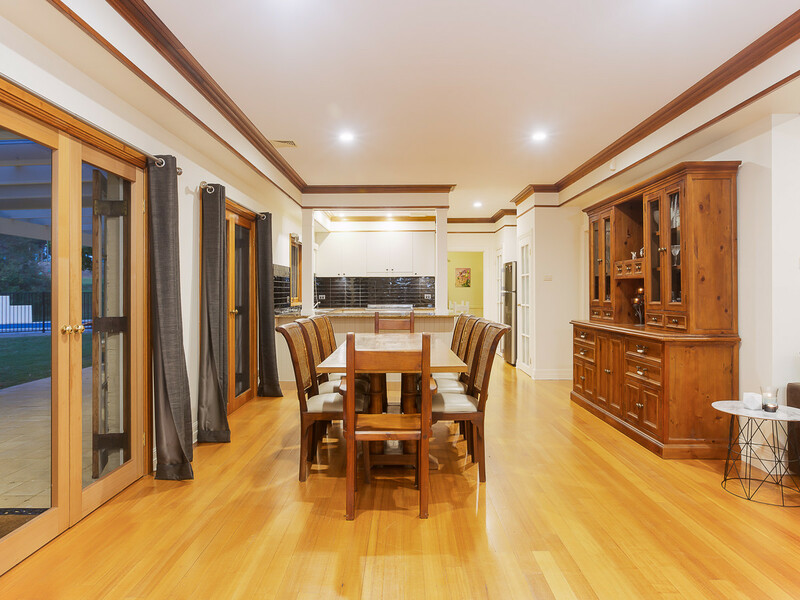 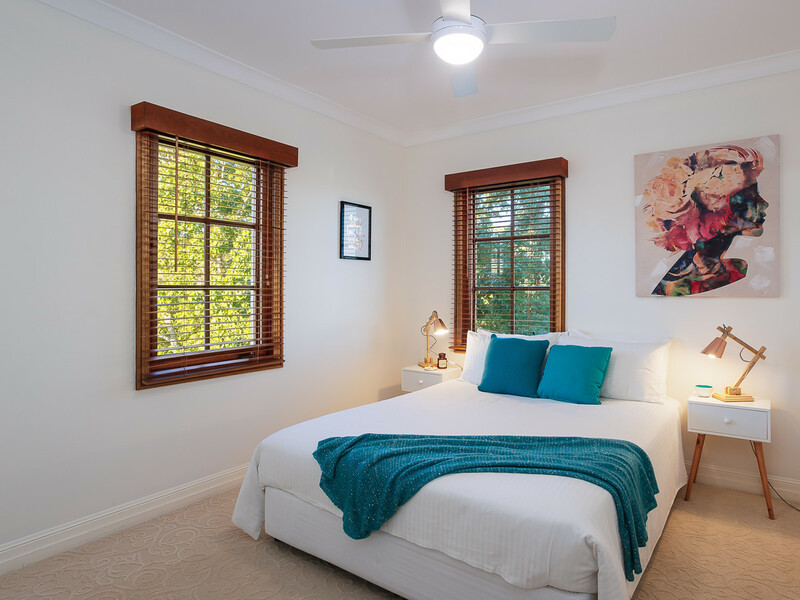 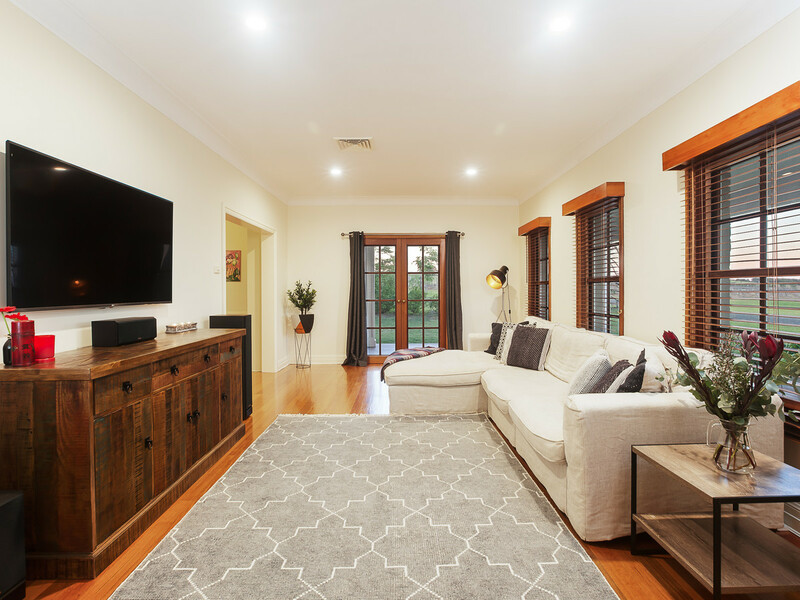 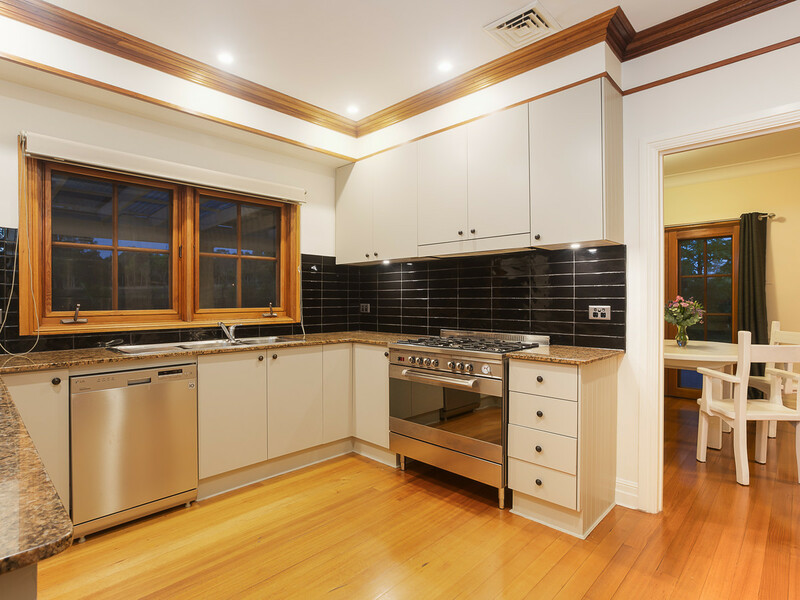 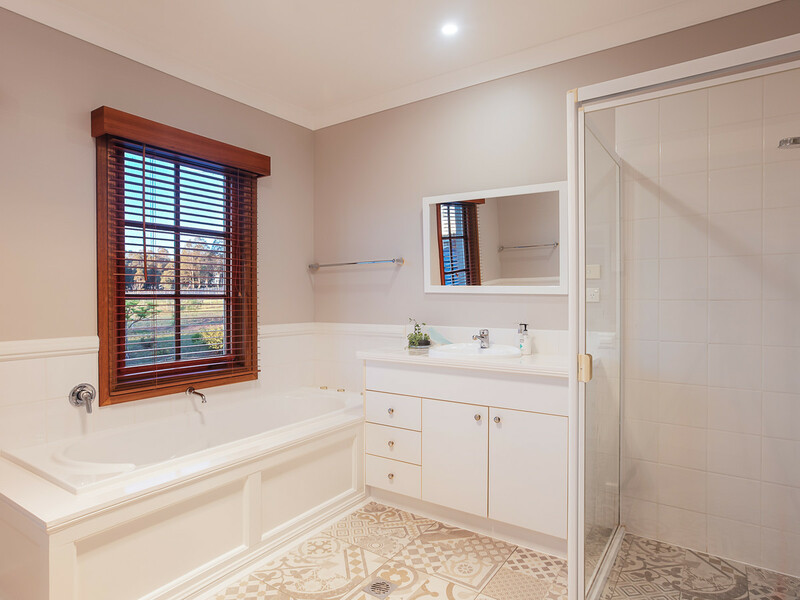 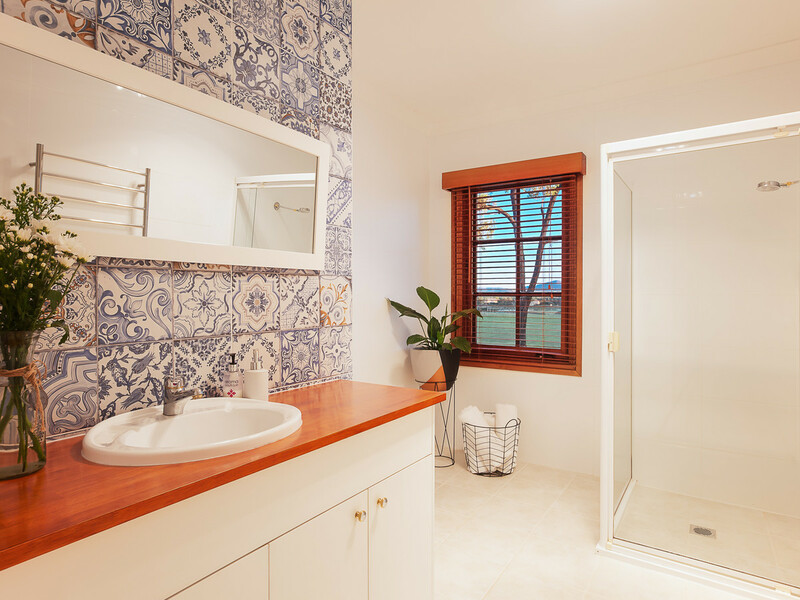 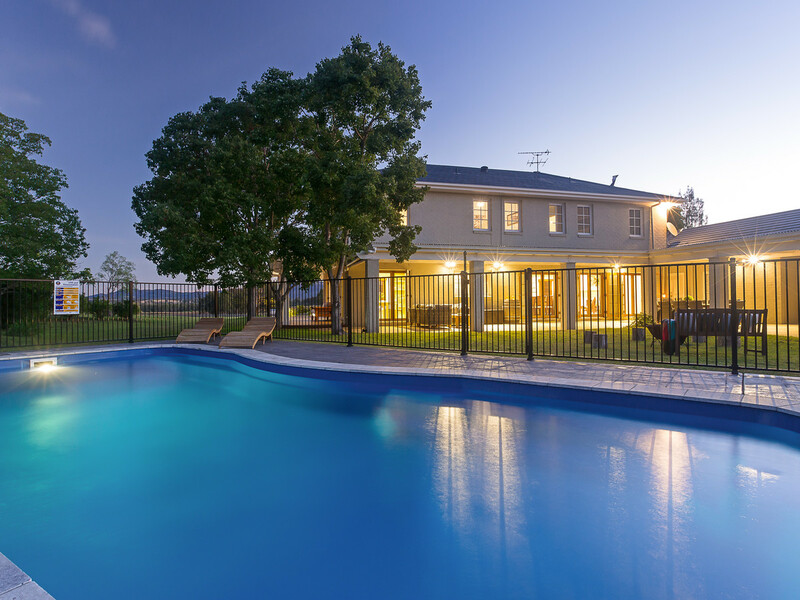 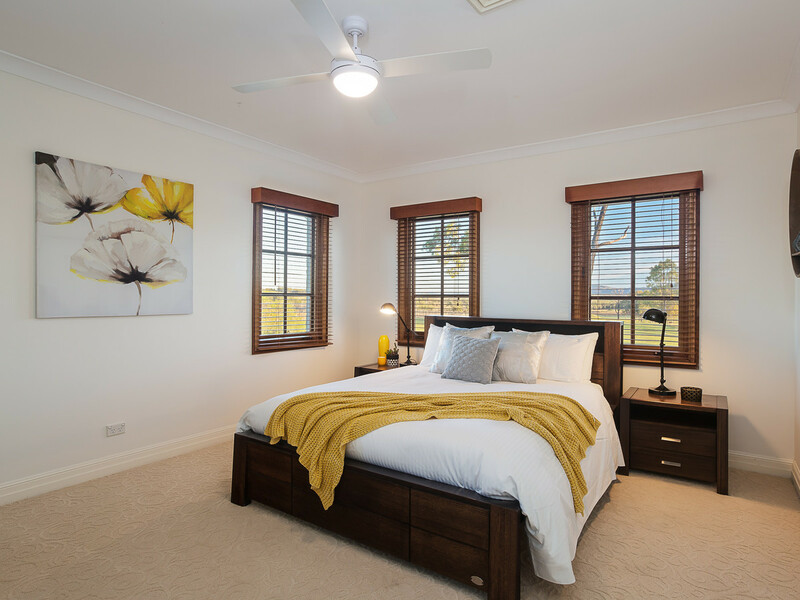 Set over two levels, Tanglewood Homestead offers five large bedrooms, three bathrooms and three open living spaces. 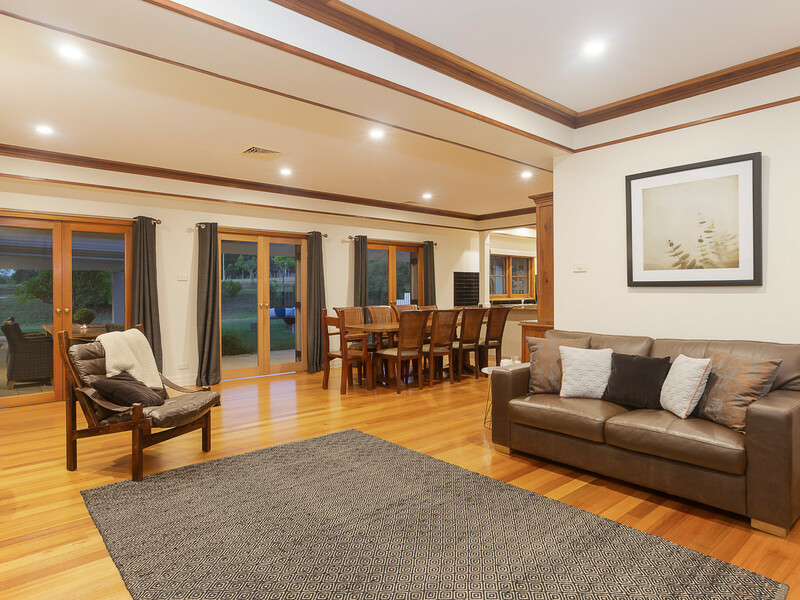 The ground level offers a formal lounge and formal dining room, updated Country kitchen with stainless steel appliances and an open living space that flows seamlessly to many outdoor living spaces. 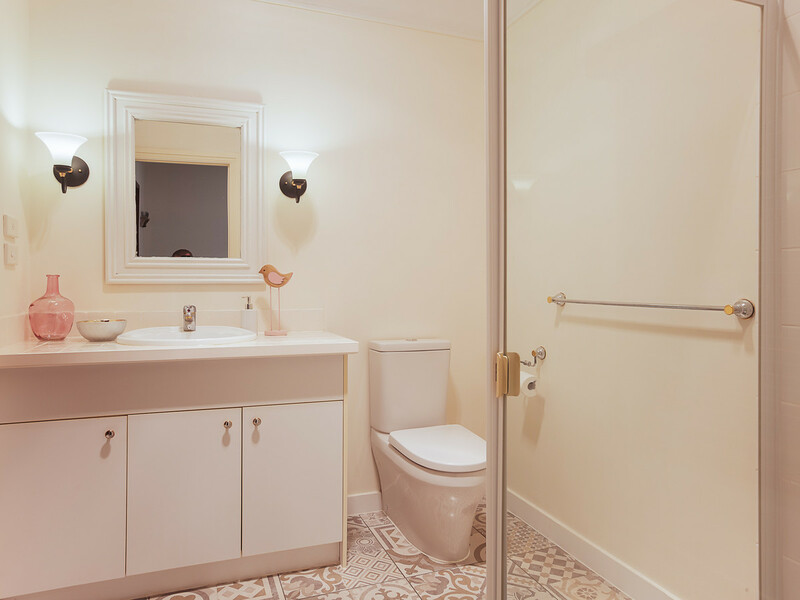 An adjoining utility room, fifth bedroom, guest bathroom and laundy round out this level. 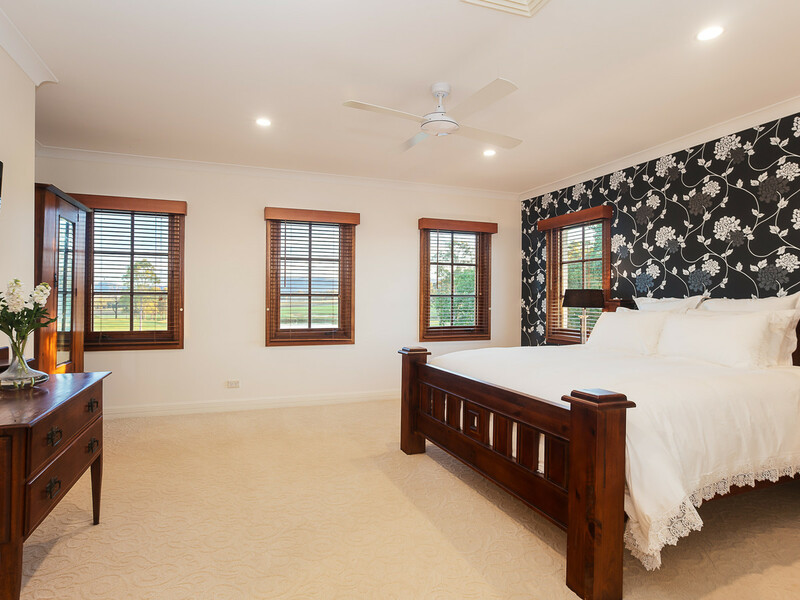 Upstairs, four large bedrooms all have built-in robes and share a main bathroom except the main which is very opulent in size and offers a large walk-in robe and ensuite. 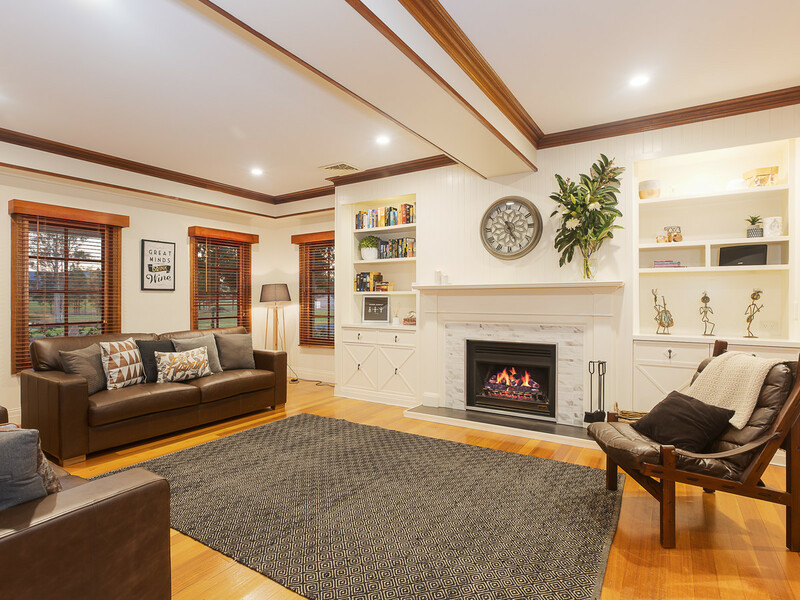 A grand open wood-burning fireplace and reverse-cycle ducted air conditioner keep the property comfortable all year round. 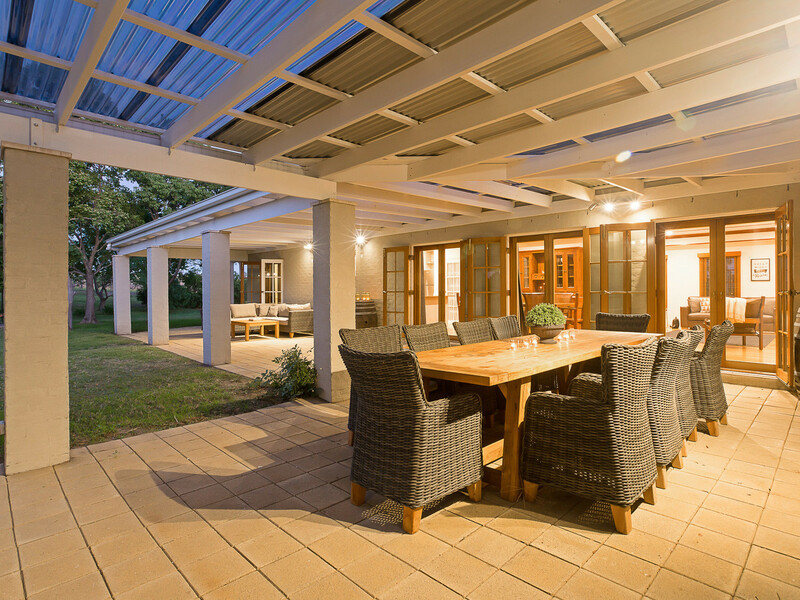 Outside, open pergolas, covered verandas and a new in-ground pool make entertaining a delight. 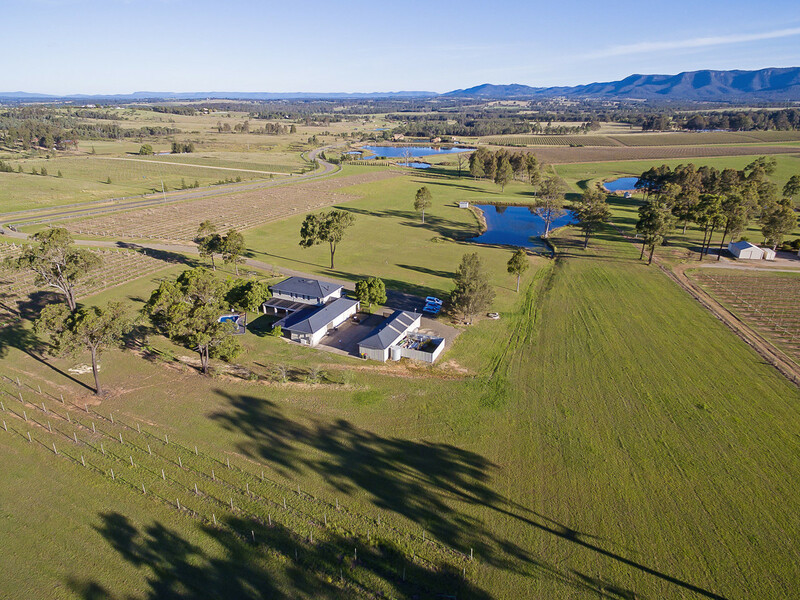 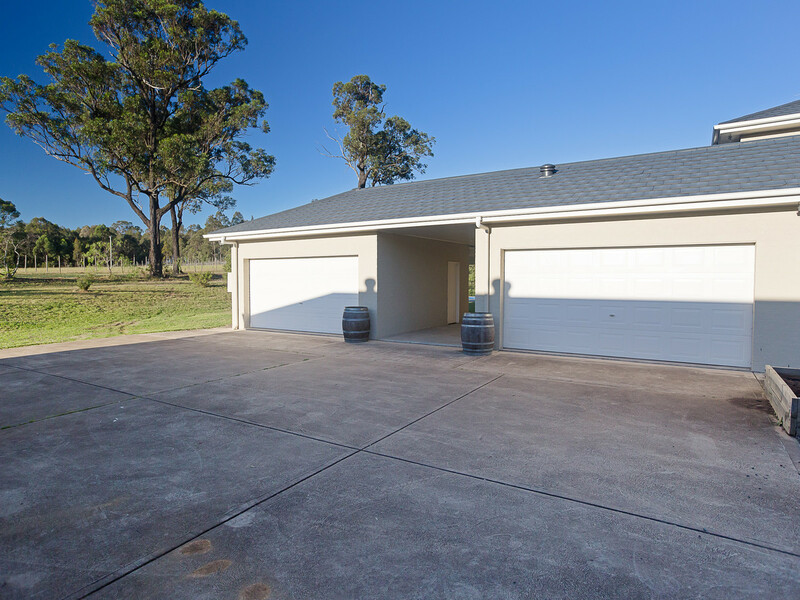 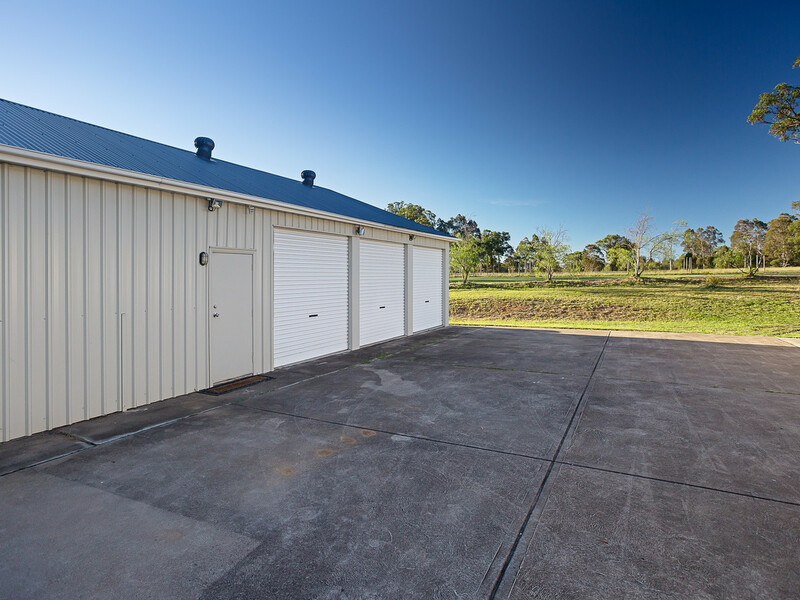 Nine garage spaces plus covered car-port and additional machinery storage as well as established driveways, 6.5 acres of irrigated vineyard, plenty of water and a PID allocation complete this very rare offering. 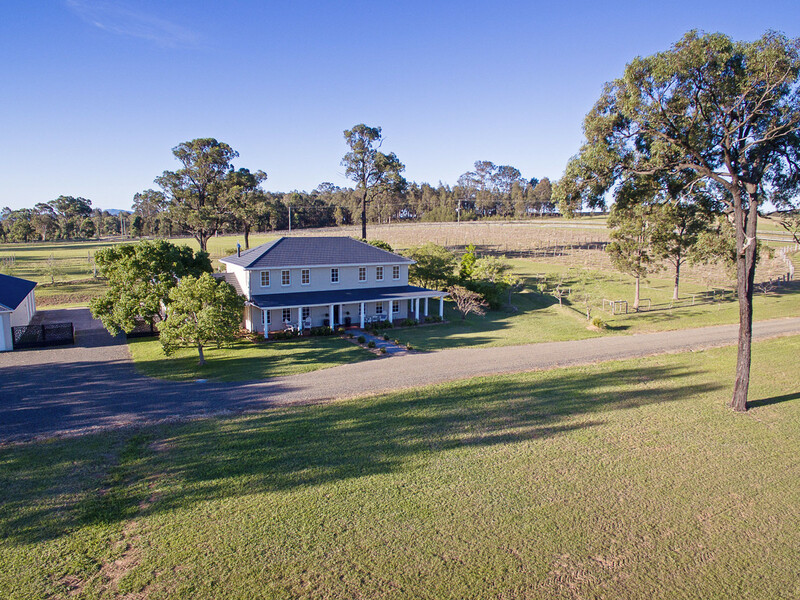 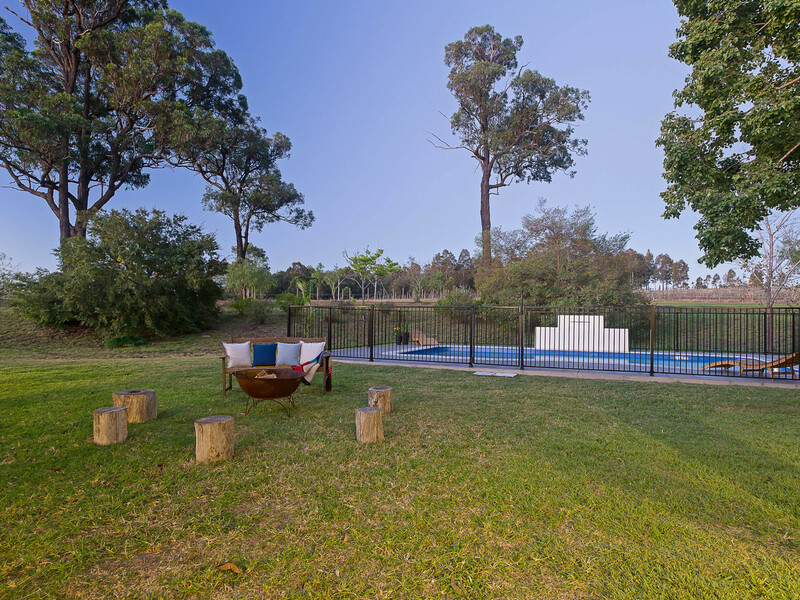 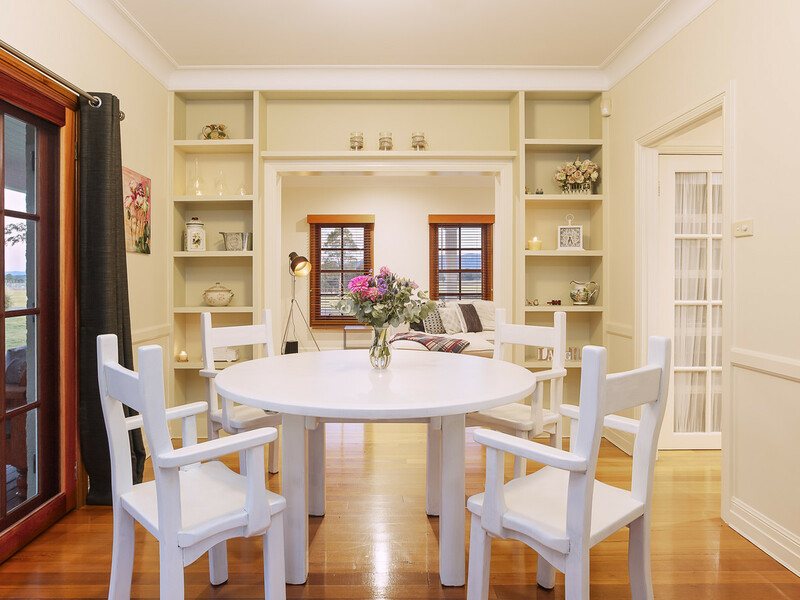 Located 2 hours from Sydney, 1 hour from Newcastle and literally surrounded by vineyards, restaurants and guesthouses, the location couldn’t be better.